Hard to see…but there are lights! My Monday was off to a great start. I joined a gym last week. Complete with a suana, regular workout machines, aerobics classes, hot showers (my apartment has terrible water pressure and about 30 seconds of hotness, followed by lukewarm) and…uniforms! I’m. Not. Kidding. Uniforms. The upside: less laundry. Back to my running and lifting. When I walked back outside after my early morning workout I found that the restaurant across the street has Christmas decorations; made me so happy! Good yoga class today too. Went to Cafe Muse before work to read a bit…yummy! No-Bake Cookies were offered to me. Peanut butter, chocolate, oatmeal…deliciousness! “Country Roads” was playing in the background, followed by “Kiss from a Rose,” gotta love the variety. 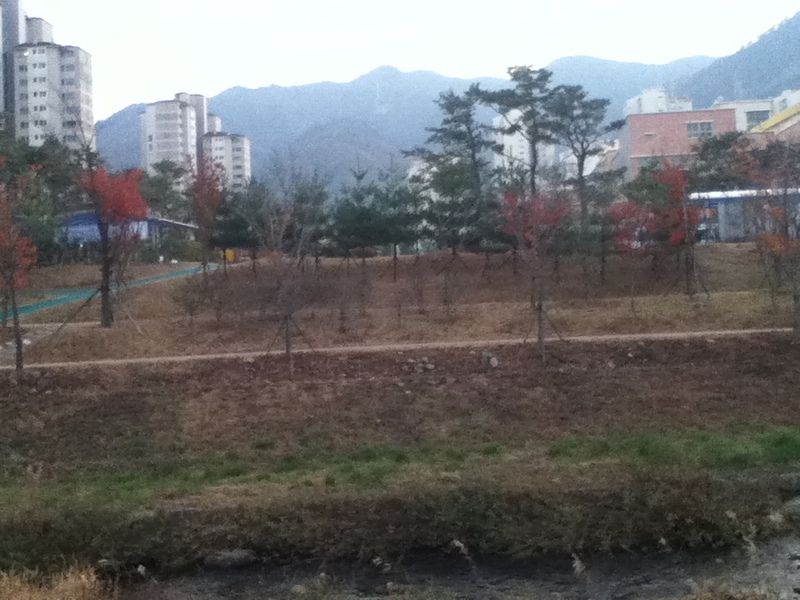 This past weekend I was in Seoul again for Thanksgiving dinner at Pine-Town pension in Yongin (suburb.) My friend and I arrived early so we offered to help in the kitchen. I ended up making the green bean casserole: saute’d mushrooms and onions, green beans, and some spices…missing: the french fried onions. 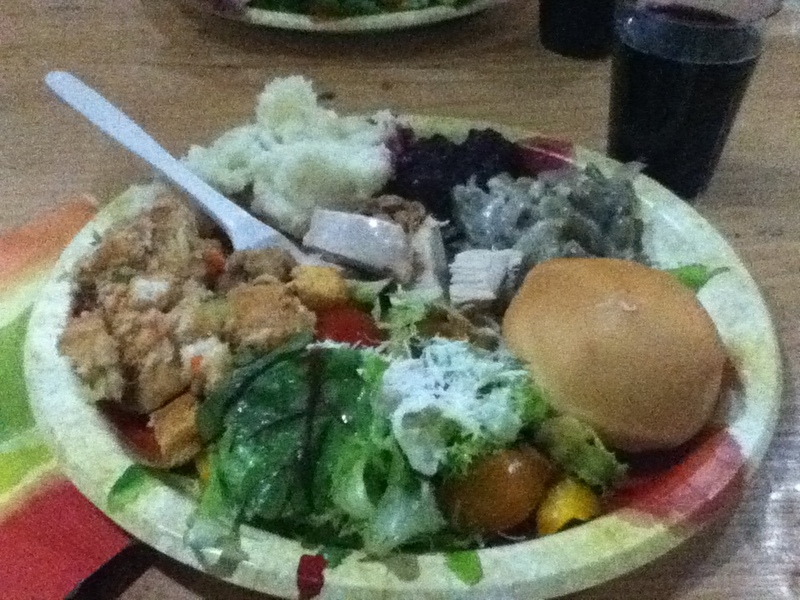 (sad) The feast was good…had cranberries and pumpkin pie too. It was nice to meet new people and spend time with other foreigners…many of the people were Korean and Canadian…not just American. I am so thankful for being able to speak to and see my family…such a comfort to be able to communicate with them while so far away. I have found traveling a good distance for only a day or two is tiring. I think during the next month I am going to stay close to home and relax. 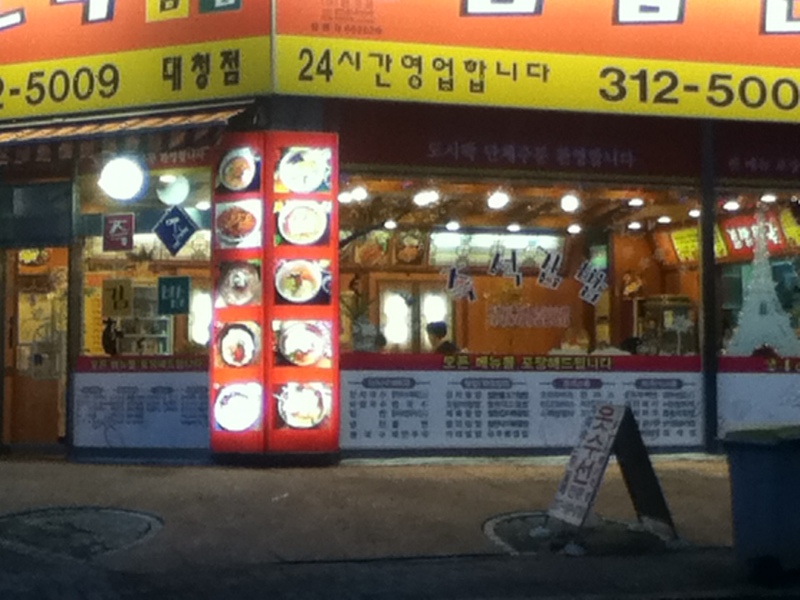 When I arrived back in Jangyu it was back in the 60s (last week was soo cold! 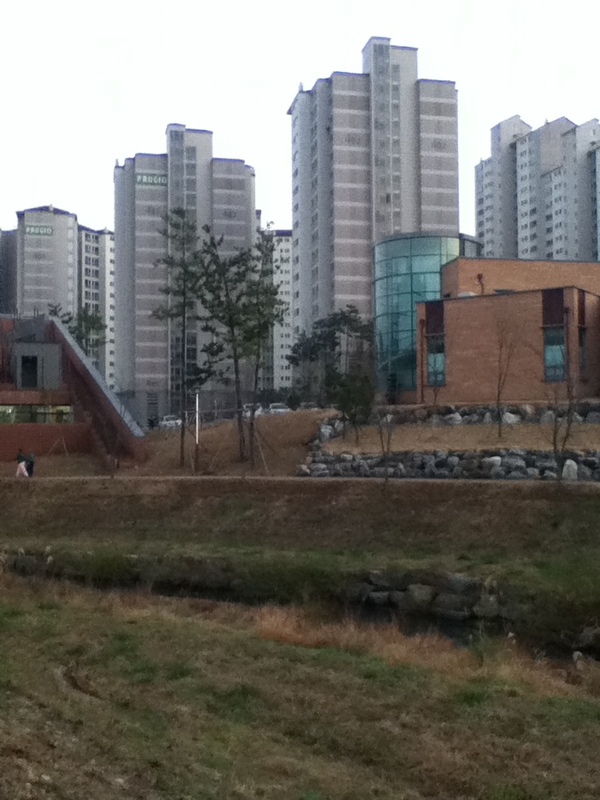 ), went for a walk by the river- beautiful setting. Can’t believe in 10 days it will be 3 months of being in Korea!